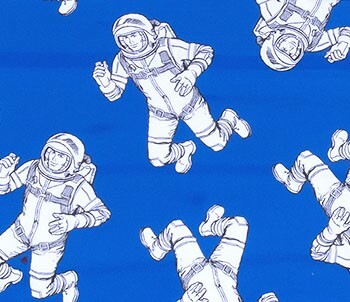 Spacewalk - Mug - spacekids - space toys, dressing up costumes, kids spacesuits, astronaut food, cool space stuff! 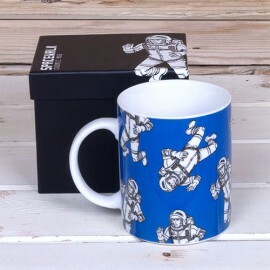 A very stylish mug decorated with our very own Really Good astronaut on a background of atmospheric blue. A contemporary gift, this mug is supplied in it's very own gift box making a perfect present and just ideal for slurping hot beverages from!